This week AVH has received a letter of thank you from another satisfied customer! 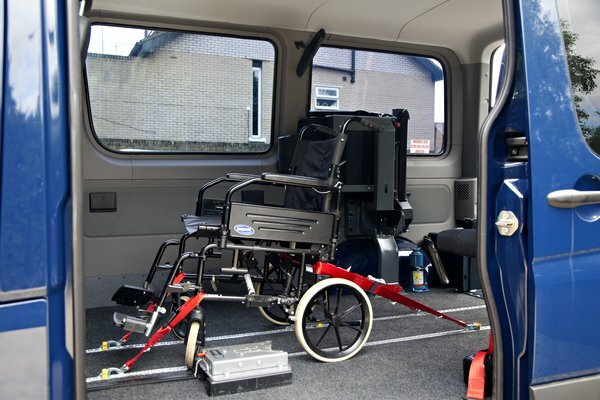 “I have been meaning to write to you regarding my experience of the service i encountered when initially making enquiries, booking and hiring an accessible vehicle from the period 11th April to 14th April 2014. I cannot thank the administration team enough for all the help and assistance they gave me via phone calls and email communications. One of your team members in particular was very pleasent, courteous and professional in her manner and according to the documentation her name was Sandra Hutchinson. I was very impressed with how Sandra explained and demonstrated the restraining belts and ramp for the wheelchair. She even checked that i fully understood how to use them and allowed me to practice until i felt confident. This particular aspect of ensuring my disabled father was safe and secure is what worried me the most, Sandra’s friendly nature and reassuring manner instilled confidence in myself that we could go away for a weekend trip with my father. We had a wonderful time and a major contribution to this was hiring the accessible vehicle. My father was able to remain as independent as possible and did not need to be manually handled in to the vehicle. My only regret is that i did not discover Adapted Vehicle Hire earlier! Please feel free to use my letter as its contents to potential customers for recommendations because AVH provides a wonderful service. I shall certainly be using AVH in the future. Please relay my thanks to the whole team and especially to Sandra.